So, before you select an outsourcing company, be sure you understand their strengths, expertise and service model, and the types of pitfalls to avoid. When you select the right company to partner with, your business will work smarter, your systems will improve. You and your employees will have more time and resources to dedicate to your company’s primary functions. Then, your business will flourish. Facing these types of concerns, companies have no chance of leveraging the numbers reported by their back offices for strategic planning, cash flow improvement, or revenue generation. They also face audits and paying potential fees and penalties due to non-compliance and tax errors. In these cases, extremely inefficient outsourced bookkeeping severely curtail the potential for business growth. Many outsourced services advertise prices way below average. They collect the true value of their services in additional fees and hidden costs. In the end, clients are not happily surprised when the bill arrives. Outsourcing providers will also sometimes charge well below average. They will consequently deliver well below average quality service with copious mistakes and a disregard for timeliness. It is also a good idea to be wary of rigid, all-or-nothing service options. Most reputable companies offer a range of flexible, customizable service plans. A truly professional bookkeeping provider will openly disclose the cost of service, additional fees for add-ons, and offer clients a range of pricing and subscription options. We group these outsourcing concerns together because they often occur together. Below-average outsourced accounting and bookkeeping providers hire self-taught bookkeepers. They often do not keep enough employees on staff to provide consistent service in the event of an employee’s illness, vacation, or decision to leave their company. In addition, businesses working with outsourcing companies located overseas might also face a breakdown in communication due to cultural differences and time zones. All of these concerns can lead to a lack of communication, expertise, and professionalism. Poorly run, mismanaged outsourcing service providers can also pose a threat to the security and confidentiality of their clients’ personal or proprietary information. Outsourced accounting providers receive lots of confidential information pertaining to their clients’ employees and businesses. Whether an outsourcing provider has a poor vetting process for bringing in new hires or lacks information technology security, these oversights put their clients’ confidential information at risk. If you conduct some research on professional outsourced bookkeeping companies, then you can avoid many of the problems faced when partnered with undesirable outsourcing providers. Before signing the dotted line to a particular deal, understand every aspect of your contract. Understand which services they include, what might cost extra, and how flexible you are to downgrade, upgrade, or otherwise modify your level of service before your contract has ended. Be sure to ask questions so you completed understand the process, policies, and procedures involved. Your back office has the power to drive your business to success or failure. As a result, it is extremely important to ask about industry experience when looking to outsource your company’s bookkeeping, accounting, controller and, maybe even, CFO functions. You should choose a company that understands the ins, outs, and intricacies of your business’s industry. You would be best partnered with an outsourcing company that has employees with plenty of experience working with other clients in your industry. Consistency and efficiency of service are essential to choosing a strong outsourced accounting company. Before making your decision, find out how many people they have on their team. Then, find out how many members will be dedicated to your account. You should also ask about their policies, procedures and contingency plans for employee loss. In addition, ask them what technologies they offer to improve efficiency, accuracy, and compliance in your financial department. Find out what type of technology support they provide. And learn how they will help you streamline your financial department’s software integration to best partner with them and grow your business. When it comes to outsourced accounting services, your company should get everything it needs from the company you choose. Look for a company who provides the experienced team and robust technology your business needs for an efficient, smart, and strategic back office. It should not only accurately records your financial history, but it should also leverage the information to accelerate your company’s growth well into the future. GrowthForce is one of the original U.S. based outsourced bookkeeping and accounting leaders in the industry! Tap into over 20 years of expert bookkeeping and accounting experience. To learn more about how our reliable and professional teams can assist you with our online accounting services, get the Guide to Outsourcing Your Bookkeeping and Accounting. Avoid being burned by outsourcing accounting again! Have you ever been in a cash flow crisis? You aren’t able to make payroll. You can’t pay your vendors. There is simply not enough cash. So in theory, there should be enough cash… Wrong. I say this during every Office Hours I host for our SCFO Lab members… “You need to have a 13-Week Cash Flow Report. If you don’t have one, get one.” As we are quickly coming into the holidays and the new year, let’s look at why you need to have a 13-Week Cash Flow Report. Or, do you live in a company that is cash rich, and you simply do not see the need to forecast cash because you know you have plenty in the bank? Well, you still need a cash flow forecast. Handling a Cash Flow Crisis? Handling a cash flow crisis is never easy because it puts financial leaders in a difficult place. It may look like asking vendors to extend their payment terms, selling off assets, or laying off employees. Whether your cash flow crisis resulted from the fluctuating market or mismanagement, there are a couple of tips in handling a cash flow crisis. Every company needs cash. That’s why you need to have a 13-Week Cash Flow Report! Learn 25 different ways to improve your cash flow with our free whitepaper. You cannot make smart and strategic decisions without the most up-to-date facts. Having an updated cash flow forecast for your business that is updated weekly allows you to have a true pulse on the business. Your accounting records should be based on accrual based accounting. But your cash flow forecast ties in nicely as a great tool. The #1 reason why you need to have a 13-Week Cash Flow Report is because it’s active cash management. This report is a big picture tool that tells companies how much cash is required on a forward rolling basis. More specifically, it gives you the freedom to make big decisions. So, we briefly discussed that in a cash flow crisis the cash flow forecast allows you to manage cash and adjust payments to vendors while making payroll and keeping the lights on. What about in a cash rich company? I recently started on a client, and the company is a cash rich company. The CFO was surprised when I mentioned to him that he should have a cash flow forecast. If you are cash rich, then you may be looking at acquisitions. It would be nice to know who much you pay as cash and how much you finance. CAPEX acquisitions – you want to know how much actual cash you have to acquire CAPEX. Distributions/Bonuses, etc. – how much can you pay out? Plan for the worst – I do not care what industry what you are in; they all eventually have downturns. Plan ahead and save up for those rainy days. If you are cash rich, then that means you made a large profit. That also means you have to probably pay taxes, or distribute cash to pay taxes. How much cash for taxes do you need? Now, let’s look at how to create a 13-Week Cash Flow Report. Here are a couple of tips on making your cash flow report successful. 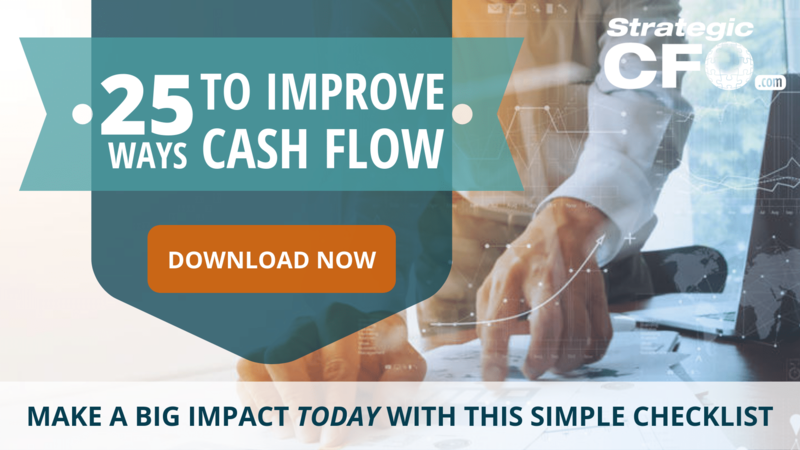 If your C-level is not supportive of creating the 13-Week Cash Flow Report or using it as they run the business, then it’s just going to be another report that never gets used. Don’t let it become that! This tool is so valuable AND every company should be using one. Not using a 13-Week Cash Flow Forecast is like deciding not to drink water for an extended time. You know you need to water/cash, but you do nothing about it. Eventually, you become so illiquid that you are financially distressed, if not bankrupt. For example, we once put together a 13-Week Cash Flow Forecast for a company that was making a small percentage of what they used to make when the market was better. We predicted that if they did not take any action, then they would be out of cash within 9 months. Unfortunately, the CEO and senior leadership did not make any changes and had to shut their doors. Our long term cash flow forecast was accurate and we warned the CEO. The report is useless unless you actually use it as a playbook and use it to make strategic decisions. When you use the report as a playbook, you go from being an accounting/finance professional that knows how to build reports to a financial leader that strategically directs the firm. Once you have created the 13-Week Cash Flow Forecast, it’s important to maintain it. We suggest to maintain and update it at least weekly. We also suggest that you use this report in conjunction with the Daily Cash Report. When customers, clients and entrepreneurs visualize any business, they usually imagine the operation’s storefront, logo, products, services, or marketing campaigns. In other words, most people choose to define businesses by their brands, products, services, ideas, and messages. Behind the attractive exterior and desirable offerings, however, the heart of most successful businesses is a well-functioning back office that provides the platform for organizational growth. In essence, your company’s back office is the lifeblood of everything your business does and will do. This article will look at the role of a company back office and how to optimize it. The efficiency and reliability of the back office ensures the health of your business… It allows you to continue to do what you do best – focus on your core competencies. Your small or medium sized company’s complete back office may consist of HR, Operations, IT, and Accounting and Compliance. The back office should stay abreast of ever-changing federal regulations, safety laws, and employment standards. In addition, it should also maintain up-to-date information systems and bookkeeping records. The role of a company back office should help strengthen the infrastructure of your business by establishing and maintaining efficient business operations. In this article, we focus mainly on the accounting and compliance functions of your back office. There are 4 layers that build the accounting foundation of your back office. A fully integrated accounting system maintains and manages all of your company’s bookkeeping, payroll, and accounting functions; thus streamlining financial operations and reporting. The design and implementation of your company’s policies and procedures covers everything from daily financial operations, weekly and monthly reporting, due diligence, and bookkeeping and accounting best practices. Compliance is the necessary and legally required responsibilities with respect to financial reporting and record keeping. Efficient bookkeeping and accounting practices involves maintaining accurate financial records essential to tax compliance and for avoiding audits, and enables you to keep track of your company’s financial (and overall) wellbeing. Management Reporting will help determine a budget for the number of employees needed for profitable operation. The back office must also be able to synchronize the timing of onboarding and training new employees with the demand created by your growing business. Establishing a smart back office helps create operation efficiency and build a strong financial foundation for your business. With a streamlined, integrated system, and accurate data, you can leverage a wealth of financial information to optimize every business decision you make. Management accounting and cash flow forecasting can be tailored to accommodate successful strategic planning. A neglected back office is one that seems to work against you rather than for you. In other words, if you still see your back office as a mundane chore that primarily exists to take up your valuable time, then you are overlooking one of your company’s greatest assets. For example, business owners often neglect their back offices. They do not take advantage of the financial information at their fingertips. As a result, they find themselves in cash flow crunches. These business owners often become too caught up in doing what they do best… They are focusing on product development, sales, and networking. Without a full accounting department in place, they may not getting the kinds of cash management tools they need to forecast their weekly and monthly needs. As a result, these business owners tend to find themselves reacting to negative cash crunch situations. If they spent more time on the back office, then they could be proactively avoiding cash shortfalls. So, what are the next steps for improving the company back office? Outsource back office functions. Then optimize your small business accounting system. Finally, eliminate the burden. The right online accounting and bookkeeping services provider can help you create a smart back office and strong financial foundation to drive growth and success in your company. An outsourced accounting department as part of your back office frees up your time by tackling day to day bookkeeping and accounting tasks. In addition, an outsourced accounting department could be providing the financial information you need to make data-driven, strategically smart decisions for your company’s future. With the right mix of team and technology, you can build your company on top of a strong financial foundation. To learn how your business could benefit from shoring up your financial foundation with outsourced bookkeeping services, download The Smart Back Office below. With 20+ years of experience providing professional bookkeeping services to businesses like yours, our back office experts can help you eliminate the learning curve by setting up your back office right the first time. We will help you optimize your small business back office efficiency to improve operations, streamline technology, and leverage financial information to accelerate your company’s growth. Stephen King is a guest blogger at The Strategic CFO. He is the President and CEO of GrowthForce, The Strategic CFO’s strategic partner. King has 3 decades of experience in accounting system design, technology development, and management services. A concern we often hear from CEOs when transitioning to outsourced accounting services is that although they’ve outgrown their current in-house bookkeeper, but they don’t want to fire them. This employee may be hard working, knowledgeable about the business, and add value to the company. How might their role adapt when switching your bookkeeping or accounting to an outsourced service provider? Simply, reposition your accountants to revenue generating positions or value-adding positions. So, how do you reposition your accountants to revenue generating positions? You could have your bookkeeper continue to handle certain accounting functions in-house. Or if you transition completely to a virtual accounting department, then the outsourced service team will still need a liaison. Either way, your in-house bookkeeper could continue to have some of the same responsibilities, but it will allow them to have an opportunity to use their knowledge and time to contribute more effectively to profit generating activities. The best thing you can do for your bookkeeper (and for the business) is to reevaluate their responsibilities and give them the opportunity to grow their skills and interest. If you value your staff as important resources in your company, listening to their training needs, career goals and ideas for your business will allow them to feel like the transition is not a threat to their job. If your employee becomes a profit-producing asset, then it will help increase productivity and profitability. They know your business well. If you put them into an income generating role, then they will feel encouraged with how they are contributing to the success of the company. This first client example is about an office manager, Greta. She was with the company since it was founded. Greta didn’t have an accounting degree but was doing the bookkeeping and office management. She was really doing a bit of everything – bookkeeping, HR, managing the office… Management realized that the company was outgrowing her bookkeeping skills. Greta knew all the clients and knew about all of the services they provided since she did the bookkeeping and the invoicing. She would also call the clients to do collections. As a result, she was aware of what services people were happy with and what they were not happy with. Greta has been there from the very beginning and is very knowledgeable about the company. The CEO wanted to grow the business but needed help, and decided to transition to outsourced accounting services. The CEO asked Greta if she would help with the proposals. She was thrilled about the idea. It turned out that because of all of her domain knowledge, she became exceptional at being a proposal writer. Greta knew all the clients and all the services. Since she was already helping with the proposals and doing the billing from those proposals, she also understood the process. Greta now feels more engaged getting involved in the sales process and is glad to be in an revenue generating position. This next client example is about a bookkeeper, Lisa. Lisa was doing all of the bookkeeping tasks. Lisa also helped with HR, IT, and office management. She actually hated doing the bookkeeping and accounting tasks, but she was a good employee and very knowledgeable about the company and services. The company had decided to transition to outsourced bookkeeping and accounting but didn’t want to fire Lisa. So they decided to reposition her into a business development position. Lisa was now in charge of networking, going to the Chamber of Commerce events, and working their booth at trade shows. She also visits with clients and makes client calls and because she’s been with the company so long. In the end, she’s as comfortable talking about the company as the CEO is. Repositioning a valuable employee into a role that can be profitable and productive, contributes to the growth and success of the organization. A goal for management should be preventing the negative implications and financial impacts of turnover. You want to keep your valuable employees, but you also want to be sure you are getting what you need from your bookkeeping and accounting financial operations. Many businesses transition to outsourced accounting services as a more cost-effective, efficient, and viable alternative to in-house accounting. The cost of outsourcing your bookkeeping and accounting makes it easier to budget and helps remove the burden of hiring, managing, and training accounting staff. Valuable employees are an asset to your business. If you are ready to switch to outsourcing, but want to keep your bookkeeper as an employee, then consider repositioning them. You can outsource all or portions of their job and have them spend their time on revenue generating activities. Stephen King is the President and CEO of Growthforce, an outsourced bookkeeping firm. When running a business, the goal is to have good operations and profits. You’re also in a constant state of awareness for ways to protect your business from harm – whether that comes in the form of increased competition, property loss due to theft, or some other factor. Have you considered staffing and managing an in-house accounting department? This is a very important and foundational part of any business, so it’s key that you address accounting. Now, your bookkeeping may be managing its bookkeeping and accounting in-house; however, that may not be the smartest choice. There are 4 problems with in-house accounting that we are going to take a look at in this blog. Whatever your reason for wanting to keep your accounting in-house – control – it’s important to know how those problems with in-house accounting may impact your business. If you employ a bookkeeper to handle your day-to-day financials, then you’re relying on one single person for this critical function. Since human beings are fallible, it’s not unusual for people to make mistakes. This is especially true when said person is inexperienced and/or tired. In the best-case scenario, your bookkeeper or accountant will catch any mistakes made themselves before you catch it. Then, they will correct them in a timely manner. In the worst-case scenario, however, a mistake will go unnoticed. That means it could be used to generate reports or even prepare audit and tax readiness inaccurately — and that’s the last place you want errors. In other words, one single mistake can have far-reaching consequences for your company, both financially and fiscally. On the other hand, if you outsource your accounting to a reputable firm, then you’re guaranteed that the expert services you receive are accurate. With an entire team looking at your books and handling your reporting, any errors are more likely to quickly be noticed. And the team can address those issues immediately. When you hired your accountant, you probably took great care to verify that their certifications were valid and up-to-date. Yet over time, even the best training becomes outdated. Just look at the new revenue recognition updates! Accounting professionals need to stay current not only about things like new software and integrated apps for greater efficiency, but more importantly about things like amended regulations, changes to tax rules, and other important developments that affect their field. Unfortunately, especially when your bookkeeper or accountant has a heavy workload, it can be challenging for him or her to stay current with these things. Furthermore, it’s going to be difficult for them to complete any professional development courses. That means that before too long, the quality of your in-house bookkeeping and accounting will suffer. When you outsource your accounting, the right firm will ensure that its people are up-to-date on all of the latest technology, regulations, tax codes, and other developments. That means you never have to worry about the quality of your accounting. On average, organizations lose 5% of revenue to fraud annually. In addition, small businesses are typically more susceptible to fraud. Why? Because they don’t have the resources to perform all of the checks and balances needed to detect and combat fraud. Payroll fraud and skimming are common types of fraud that occur. In a larger company, you can set up a system of internal controls to ensure that the various financial responsibilities and authorizations are handled by different people. In a small company, this often comes down to one or two people. An outsourced accounting firm provides protection against fraud by ensuring multiple people review your accounts providing separation of duties and follow up on every potential sign of wrongdoing. The best firms have procedures in place that virtually eliminate the chances of fraud going undetected. If they do detect fraud, then they can follow the trail back to determine which of your employees is the fraudster. Then you can take appropriate action. Hiring a full-time bookkeeper or accountant involves significant costs. First of all, there’s the time and money that goes into recruiting, screening, and onboarding the new employee. If you work with a recruiter to do this quickly, then you’re looking at a bill of between 20-30% of the new employee’s salary. Then, there are the costs of employee salary or wages. According to GlassDoor, U.S. salaries average $43,874 for a bookkeeper, $55,093 for a staff accountant, and $100,705 for a controller annually. Of course, there are also additional costs such as benefits, paid time off, retirement, overhead, etc. And last but not least, you have a contractual and financial commitment to the employee. You can’t simply let them go without a certain financial obligation. In contrast, an accountant’s firm will cost between $24k-$60k annually. That range depends on the size of your company and the type of services you require. On average, you can expect to pay around $2,500 per month when you outsource your business’s bookkeeping and accounting. That’s considerably less than hiring a full-time bookkeeper! If you want to learn more about how outsourcing your accounting can help your business, then contact us at GrowthForce. We’re always happy to learn about your business needs and discuss how we can help you achieve your financial goals. 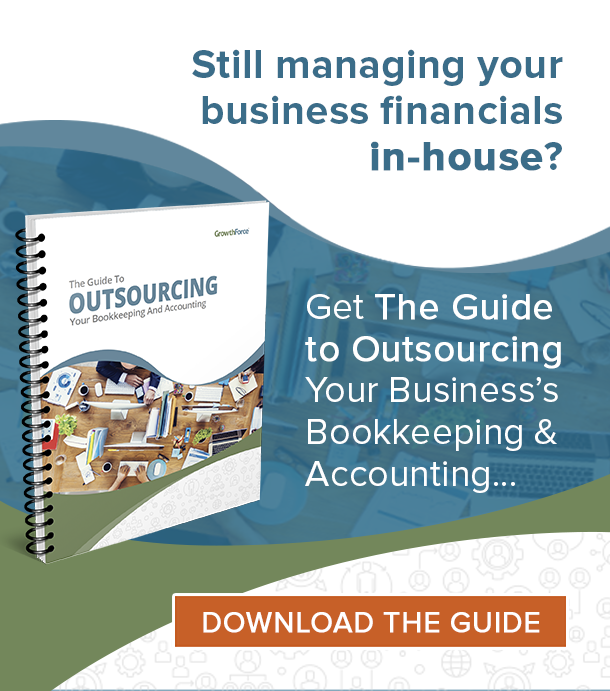 In the meantime, download our free Guide to Outsourcing Your Bookkeeping & Accounting to avoid those problems with in-house accounting. Stephen King is a guest blogger at The Strategic CFO. He is the President and CEO of Growthforce, an outsourced bookkeeping firm. You have probably heard the term, hire for traits, not for talent. I can tell you ever since I first heard of this term, I have gone back in time and the different experiences I have had, that related to this term over the last 28 years of my career. I am convinced more than ever that we should all apply this to ever hire we make. Hire for traits, not for talent. You would be surprised, or maybe not, how many times I have worked with accounting, finance, or operational professionals that really knew their stuff. Technically, they were all there and then some. But when it came with dealing with these individuals on a personal level, they were very difficult to deal with or even impossible to deal with. Are you building your team? If so, it’s time to stop hiring duds. Learn how to recruit that star-quality team you need to get to the next level. In my 28+ years of experience, I have had numerous good and bad experiences hiring. Let’s look at a few of them! I worked for a large publicly traded company, and the operating world was divided into regions for the entire world. So, there were several divisional controllers. Well… There was this “super star” divisional controller that knew it all. He was technically the smartest guy in the room when it came to the latest accounting pronouncements. But when it came to dealing with people, this mad man was impossible to deal with. He was rude, had temper tantrums, and was just a jerk. He got the job because on paper he was a super star. But when it came to working with others, it was impossible. As a result, he had a short career at the company. I also dealt with an operating guy recently who was hired for his technical expertise in a specific operation. He was very talented when it came to the operation of the business. But once again, he was insubordinate, treated others like dirt, and just a cancer in the organization. On the contrary, I recently hired a young man with very little work experience, smart, and was a sponge in learning about the business or how we did things. This young man has turned out to be a real super star. I did not hire him for his talents, but his traits and ability to work well with others. The stories above are real and I have another dozen like these. All of these individuals had “talent” in there area of expertise, but their personal traits varied. Those that failed had horrible personal traits. Those individuals that I have worked with that had excellent personal traits turned out to be excellent employees. An individual with exceptional personal traits can learn anything. Personally, I would want to always hire that person that has exceptional personal traits, and maybe average on talent. Because I know I can train this person and make him or her a super star. Think about those individuals that you have worked with in your career. Think of their traits versus talent. Someone can have exceptional talent, but if they can not get along with others, work in a team environment or have other horrible traits, then that person will always fail. Don’t make the same mistakes when hiring your next employee. Learn about our 5 Guiding Principles for Recruiting a Star-Quality Team and how hiring for traits is the way to go! Everyone laughed because it is so true. As we shared stories, challenges, successes, etc. in my team meeting, I asked them if they knew what they were competent and incompetent at. Everyone is incompetent at something. Financial leaders need to understand the importance of knowing your leadership competencies. Truly successful people spend 80-90% of their time utilizing their excellent and unique abilities and delegate the rest. 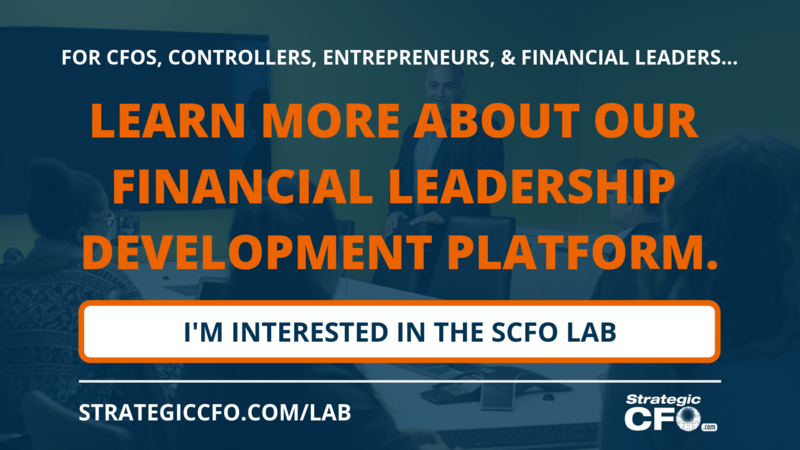 Become a better financial leader by learning exactly what CEOs want from their CFOs. You can find these habits or traits7 Habits of Highly Effective CFOs whitepaper in our . First, you need to know what your incompetencies are. Incompetent indicates the activities that you are not good at and the things that you don’t do well. Everyone is incompetent at something. Some incompetencies could be translating the numbers to something the CEO could use to make decisions, knowing the ins and outs of your accounting system, or working with technology. Before you can start to figure out what you are competent at, you need to know what you are not good at. Write those incompetencies down. If you are asked to do work in those areas, either defer or delegate. It is not worth your time to invest in those areas when they are not profitable. Then identify your competencies; these are activities that you are okay at, but the majority of others are better. In other words, the general population is good at that thing. For example, all accountants will know where assets, liabilities, and equity go on the balance sheet. After you have identified your incompetencies and competencies, then ask yourself… “What are you excellent at?” This refers to the activities that you excel at, but so do a few others. If you have a knack for knowing where to unlock cash after just looking at the financial statements, then it may be time to focus more of your energy there. Not everyone will have this skill though. Finally, know your unique ability. Your unique ability are the abilities only you possess. These are activities that drive value for yourself and others. In addition, your unique ability must be valued by society. So, how do you tell the difference between your unique abilities and your incompetence activities? Your unique ability gives you energy and your incompetence zaps your energy! 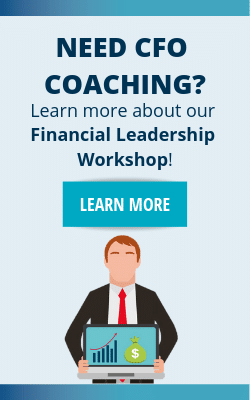 If you want to go through this exercise AND 32 hours of coaching from me, then click here to learn about our Financial Leadership Workshop. Registration for our series starting December 2018 is now open. Contact us for more information and to register. While the CEO must balance the vision, growth, implementation, cash, and profitability of the company, the role of the CFO is to compliment the skills and unique abilities of the entrepreneur. You would not find Steve Jobs or Jeff Bezos in the accounting department, but they sure need(ed) support from their financial leader to make innovation happen. To learn other ways to be more effective in your role as the financial leader, click here to access our most popular whitepaper – the 7 Habits of Highly Effective CFOs.